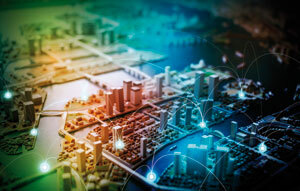 Federal Minister for Urban Infrastructure and Cities Paul Fletcher has announced $22 million in available funding for smart technology solutions under Round Two of the national Smart Cities and Suburbs Program. “Round One of this program is making a big impact, with 49 projects funded across a wide range of technologies and applications – such as trialling a driverless electric shuttle in Perth to help reduce congestion,” he said. Mr. Fletcher said local governments are encouraged to make submissions that deliver innovative, technology-based approaches to improve the liveability and increase the productivity and sustainability of Australia’s cities, suburbs and towns. The Smart Cities and Suburbs Program will allocate a total of $50 million across Rounds One and Two. Using satellite surface temperature data to enable pedestrians and cyclists in Bendigo to map cooler routes on hot days. Using Wi-Fi temperature loggers and infrared drone images to collect data on the effect of roof colour on home temperature and display the data in new housing estates in outer Perth. Invest in CCTV, Wi-Fi, bin sensors, electric car charging systems, renewable energy generation and LED public lighting to help digitally transform Kapunda in South Australia while using data analytics to help market and promote the town. Applications will be open until 2 July.